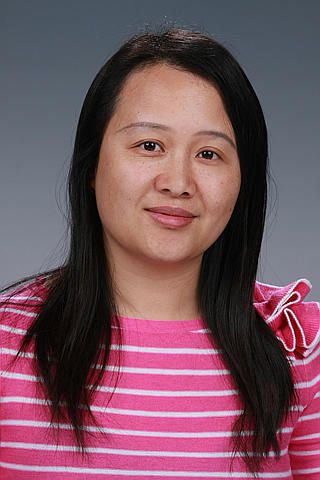 Dr. Maoyi Huang's recent research on water systems' changes over the lower 48 United States was featured in an Environmental Research Letters journal blog, "US Set to See Significant Changes in Surface Water Resources." The blog describes the research performed by Huang and PNNL colleagues Guoyong Leng, Nathalie Voisin, Xuesong Zhang, Ghassem Asrar, and L. Ruby Leung, to understand how ‘normal' surface water conditions may change in the future because of climate change forces. They found that more than 40 percent of the conterminous United States will see significant changes in summer and winter runoff by the end of the 21st century. The changes will pose a significant challenge for water management issues in almost half of the USA's lower 48 states caused by 'new normal' conditions in surface water systems. Huang earned her Ph.D. in Civil and Environmental Engineering in 2005 from the University of California at Berkeley, with a focus on surface water hydrology and land surface modeling. Her research at PNNL focuses on studying carbon, water, and energy budgets at regional scale. She is developing land surface and hydrological models at watershed scales to implement them within coupled land and atmospheric systems.